How to repair a paperback book that has come apart. I made this video to cover several different paperback book repair problems. It also shows how to make a simple press to hold the book up to work on it. 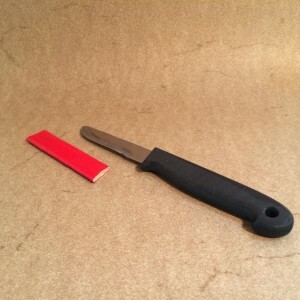 Buy this book repair knife to help you with your paperback repairs. 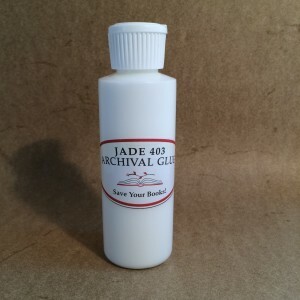 This is the glue I use in the video. Page Repair Instruction to go with the SYB Page Repair Kit. Some page repair is very simple and some is more complicated. Hopefully you will be able to follow the page repair instruction here to be able to achieve archival page repairs with ease. I have broken it down based on my book repair hierarchy. What you will need is the Eraser and 320 grit sand paper (Included). Erase gently especially when near an edge. When you are next to an edge consider holding down the area with your other hand and carefully erase only toward the edge. Sandpaper can help with some dirt removal. Avoid illustrations and text. Tear off a tiny piece of the sandpaper (the kind in the kit has a sticky back) and stick it on your finger. You may need Color pencils, archival pens and the like (Not included). Because of the infinite variety of color issues I have not included any coloring devices. However, there are many situations where it is not a bad idea. Note that it is important to add the color to any areas before you apply any adhesive. 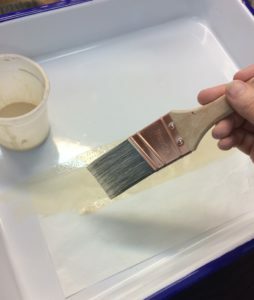 The adhesive seals the fibers making it harder for the color to soak in. Keep coloring to areas that are already abraded and for coloring the Japanese tissues used in the repairs. Be aware that coloring on your original item is very tricky and often not a good idea at all. One thing to watch out for is creating halos. This happens when you are trying to fill in an abraded area and you extend the new color beyond the edges of the “loss” onto the original color. Another thing to watch out for is color that soaks through. 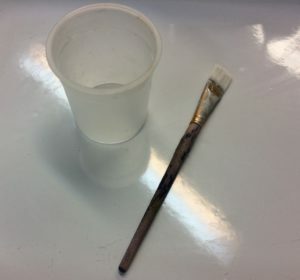 Acrylic paints and watercolors can be archival but are also tricky to work with. Many pens are not archival and can introduce acid or an odd sheen to your page. Try coloring the tissues before applying them. You will need Japanese tissue Thick and Thin (Included) to correct the tears. Be sure to align the scarf edges first! Keep alignment, shape, size, thickness in mind as you create your piece of tissue for the repair. You can use the paste full thickness or water it down a bit. Clean the brush when you are through with soapy warm water. Store it brush side up. The paste will last longer stored in the fridge but will last a long time out of the fridge too. You will need the Wax Paper (Included). Rubbing the repair with wax paper after it is dry can help flatten the fibers of the repair and also help keep it from sticking in general. The reason to clean the area first is that once you have added an adhesive to the area you will not be able to clean it as thoroughly again. Decide which side of the page you want to apply the repair tissue. The verso is always preferred to the recto but if there is an illustration or text to consider you may choose to repair the recto. It is also ok to choose it because sometimes it is just easier to work on the recto. Place a clean piece of wax paper beneath the page with the tear. This is so that the paste won’t accidentally transfer to the next page. Do you need a weight to help prop open the book and weight down the page so the tear lines up? A baby-food jar full of pennies or even just a can of soup is handy here. Make sure you have easy access to the tear you are working on. For a simple, straight, scarf-edge tear you can tear pieces of the Hinging Tissue to the right length. It is already a typically good width for most tears. Tearing is better than cutting because it leaves longer fibers on the edges. Place the bit of tissue onto some wax paper or any clean waste paper. 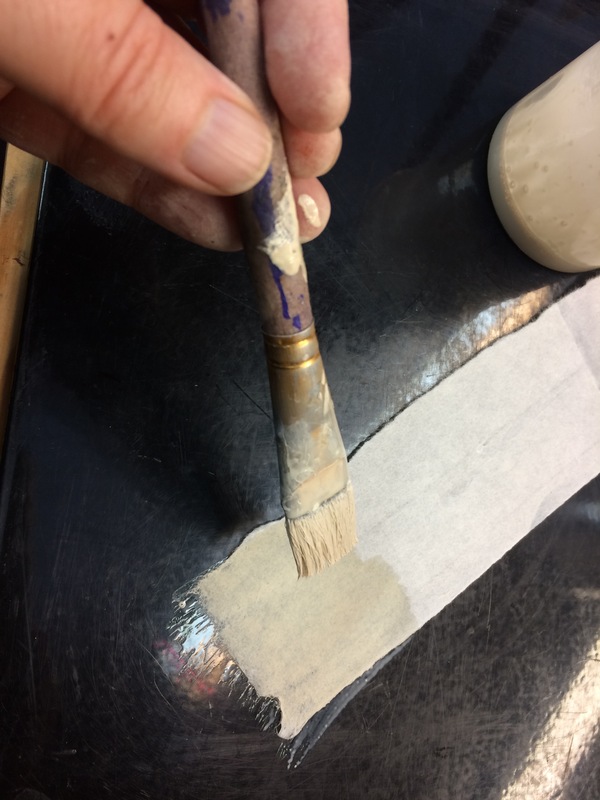 You can squeeze some paste directly onto the brush and then apply it to the tissue. If you are doing a few repairs consider putting a tablespoon of paste in a cup and then thin it down with about a teaspoon of water. This should give you a nice consistency but feel free to adjust as necessary. 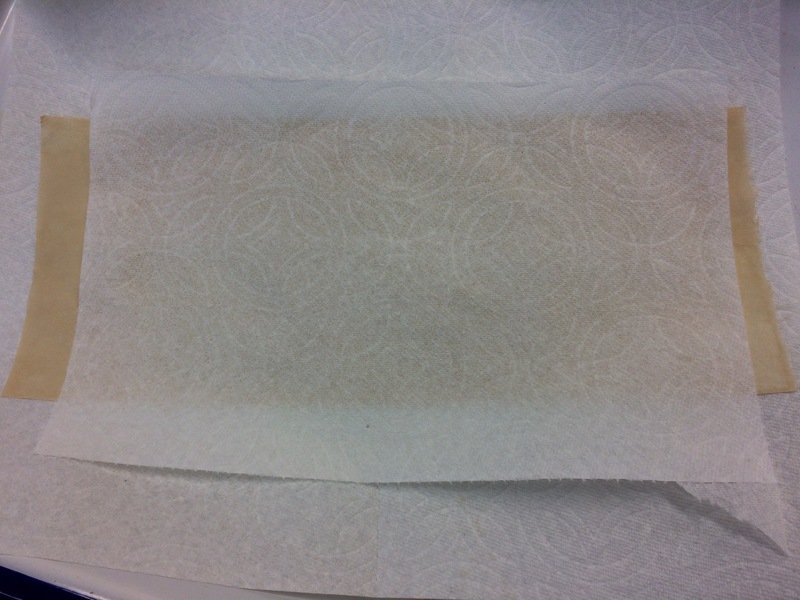 Have a damp paper towel nearby safely in a container. This is to clean your fingers off as needed. Hold the tissue in place with your fingers as you brush the paste on. Try not to get paste on the other side of the tissue. Pick up the tissue carefully and transfer it to the tear. Clean your fingers now. One reason this method is far superior to tape is that if you put it in the wrong place you can just pick it up again and move it. If it dries in the wrong location just get it a bit damp again. 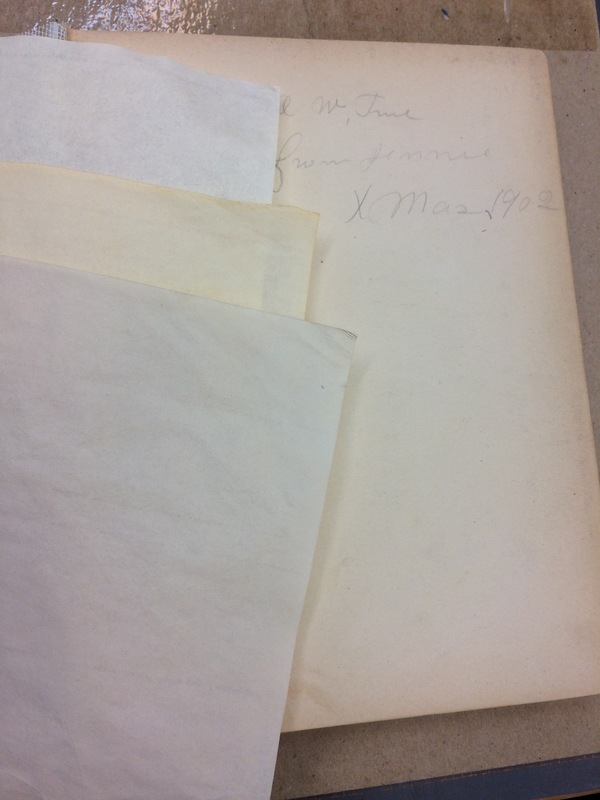 Being reversible is one of the qualities that makes this an archival repair. Once the tissue is in place, put a bit of wax paper over it and rub it down a bit. Be careful about moisture here. Rubbing down too hard could cause the moisture from the paste to transfer to the paper so strongly that you can create a stain. If the area gets too wet you can avoid creating a stain by misting or dampening the area around it and then drying it carefully. Make sure your paste isn’t too wet in the first place. Don’t soak your paper with water. This is not supposed to be a wet repair. Drying the repair can be as simple as letting it sit between sheets of clean wax paper with the book closed. The wax paper will absorb any moisture and keep the pages from sticking together. If you are in a hurry though, you could use a hair dryer. However, drying it quickly can cause warping. Ironing with a tacking iron (a small iron with no holes for steam) can be the best and fastest method. Be certain to protect your page with some silicone release paper also known as baking parchment. Never iron directly onto a page. 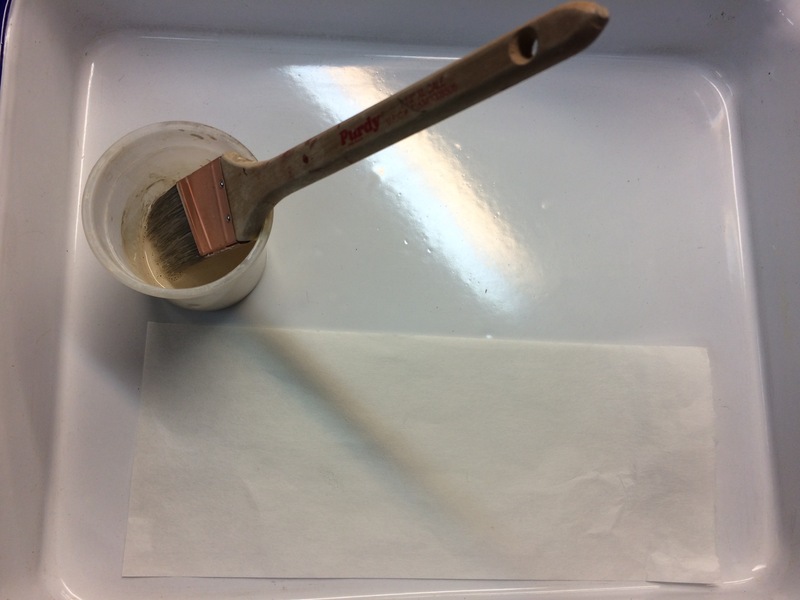 Be extra careful to make sure you don’t iron wax paper onto your page. The wax would transfer and just like crayons it is impossible to get out. The only difference for this kind of tear is that you will most likely have to apply a tissue repair to both sides of the page. If you are repairing a page that has already been “repaired” with tape you have my sympathies. This is always just a little heartbreaking for me. Tape has a “plastic” carrier and an adhesive layer. When you are dealing with the old yellow cellophane tape you can usually just pull or scrape off the old “plastic” layer. 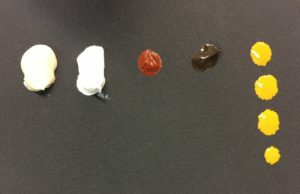 What is left is the sticky residue which has frequently been absorbed into the paper turning the whole area yellow or brown. This is a very acidic area now. You could use a spray de-acidifier to keep it from getting worse. If it is sticky you can try using a crepe eraser to remove the stickiness. Don’t use any of those citrus chemical treatments you can buy at the hardware store. They are meant for non-porous objects. If you use them on paper or book-cloth or leather they will soak in and do more damage than the tape ever did. This area will be very fragile and won’t hold up to general erasing or sanding well. 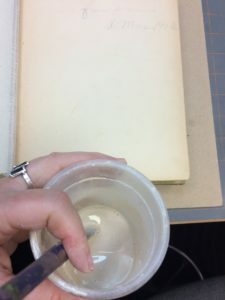 The important thing is to remove what you can and then cover the area with Japanese tissue and paste to protect the pages around it while strengthening the area that has been damaged. See Losses for how to create a fitted shape when the Hinging Tissue is too narrow to cover the area. Most newer “plastic” tapes can be re-activated with heat. 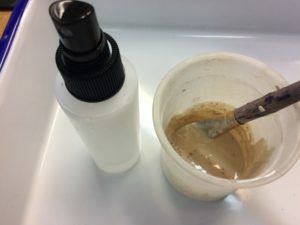 With careful application of heat and using a lifting implement of some sort you can painstakingly separate the “plastic” layer from the adhesive. Sometimes you can even get the adhesive layer off. A tacking iron and lifting knife are my preferred tools but heating pads and microspatulas are fine too. Remember that heat is dangerous to paper and fingers too. If the area is still sticky, use the Japanese tissue and paste to cover the area. You don’t want your pages to stick together! Your page has a hole in it. You could always just approximate the area and tear a bit of Japanese tissue to cover it. But hey, we have this handy dandy “poor man’s light table” and water brush right here! Place the plastic part of the light table over the hole and the black part under the hole. Now put the Sekishu (The heavier tissue) on top of the plastic part. Hold it in place with your fingers or with weights while you trace the hole shape with the water brush. The water creates a weakened area that you can then tear out. This may take a few tries to figure out how wet to make it and where to tear but you can get very precise. The in-fill only has to overlap the edge by about 1/16th of an inch. Sometimes it makes sense to use more than one layer. If that is the case, create all your layers before attaching any of them. There are many different thicknesses of Japanese tissue out there. I have included the thinner Hinging Tissue and the thicker Sekishu. Try www.talasonline.com or www.hiromipaper.com for other varieties. I only learned how to tint Japanese tissue for book repair after many years of making do with whatever colors I already had around. When I finally did start color matching myself I couldn’t believe how easy it was to at least get really close. Getting an exact match took longer but it is a fun process anyway so I do recommend trying it. And it only requires a few tools and materials. A brush (maybe 1/4 inch or 1/2 inch wide). Something to paint on that the paint won’t stick to like glass, pyrex, plexiglass, or what I have here is an enamel photo processing tray. Japanese tissue. I am using Sekishu here but many others will work fine too. 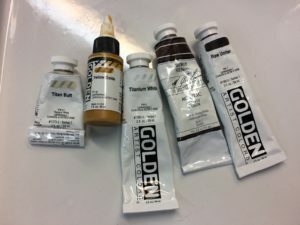 The Acrylic Paints that will make the right color for you. That will be different for each situation but here is a list of a few sort of standard colors for paper. 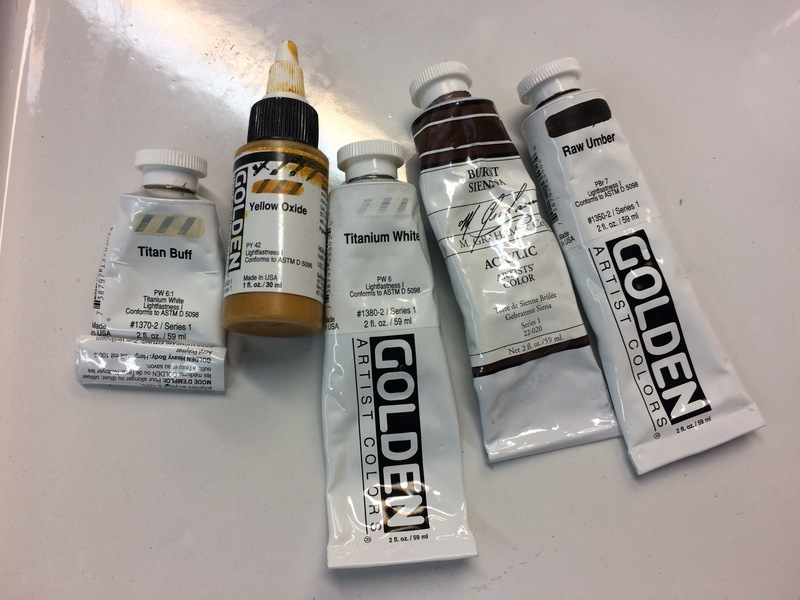 I like Golden paints particularly. You will only need a small amount of each. A pea sized dollop is a good way to start but with fluid paints two or three drops will work. 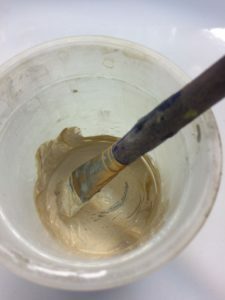 Some colors go further than others meaning that it is best to start with tiny amounts until you get a sense for how much the addition will change the overall color. After mixing the colors with no water added (or just a tiny bit), use the spray bottle to add water a bit add a time. The spray helps it blend in faster but you can just dribble some water in if you don’t have a spray bottle handy. Watch for lumps. It should be watery like milk rather than cream. 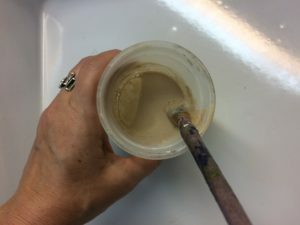 You will need at least a 1/4 to a 1/2 cup of liquid to make it easy enough to paint with. When you think you are getting close to the color you need, hold the cup near the object you are trying to match (end-sheet, page or cloth cover) to take a look. Don’t spill! When you think you have a good match test it out on a bit of the paper you are going to color. Dry it. The color will change so make sure it is really dry. Hold it next to the paper you are trying to match. Notice: Too dark, too light? Needs more red or yellow? This may take a long time to match the first few times but you will get faster at it. I think my first color match took 2 hours! Now it can be 15 minutes. There is a color wheel that I have always liked called the Analogous Color Wheel. It is for oil paints but I like the muted colors. It can help you to see what direction to take the color in. Once you have the color, get a bigger paint brush. I like a two inch Purdy for this. I used an enamel photo processing tray, but you could use anything so that the paint won’t stick to it. Paint away. Fairly quickly to avoid leaving brush strokes. Peel it up while it is still wet and then dry it. You still have to check to see if the color is accurate so waiting for it to dry can be annoying. I will typically use a bit of paper towel to dry it but be careful. 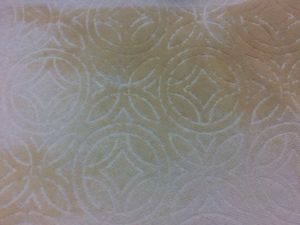 Letting wet paper sit on top of any pattern can imprint that pattern into your paper. So keep it moving! 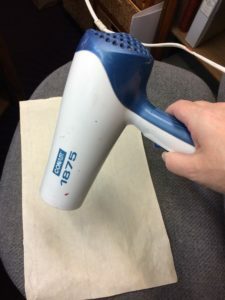 You can use a hair dryer too of course. Typically I will make a batch of several sheets of slightly different colors to match different books. This saves a lot of time. Here is the book I was working on. I matched the Japanese tissue for the hinge color. How to replace a book spine with cloth. Repair or replace a book spine yourself. Here I will show you a fairly simple way to do it with very few tools. This particular book had the inner hinges intact and so I show how to replace the whole spine without removing the boards. In some ways this is easier than removing the boards. At least you don’t need to wonder about how big the joint space should be. The video talks about different kinds of book-cloth and dyeing regular unbleached muslin to make your own book-cloth. This is the shorter version of this video. Members have access to the longer one with more details. To create an inset panel for a label you need to line the case spine with a laminated paper liner. The first part of the liner will be board height by spine width. The second part requires that you make the label for the book which should be the width of the spine minus one sixteenth of an inch. and the height necessary to accommodate the title. Place the label on the first liner where you want it to be. Don’t attach it. Then measure the parts that are uncovered and create two new pieces to be attached above and below the label. This side will be attached to the case. When you are attaching it to the case, make sure you emphasize the indentation. It is a good idea to make the label as a rough cut in case you need to trim it a bit to fit well. This is the quick fix version on how to fill in losses (holes) in a page. With only Japanese tissue and paste it is easy to make a page whole again. 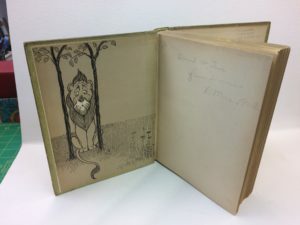 What is the difference between Book Restoration vs Conservation? The process of returning a book to its original condition with varying degrees of success. 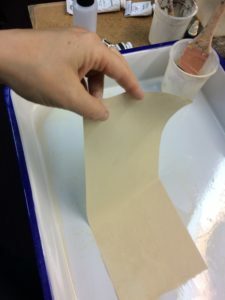 The entire scope of “restoration” ranges from the repair of a torn leaf, or removal of a stain, to the complete rehabilitation of the material, including such things as de-acidification and filling in losses as well as re-sewing and replacing parts as needed such as endpapers, boards or even the whole spine. Some say this term includes making a whole new cover done in the same period style but really this is more re-binding than restoration. 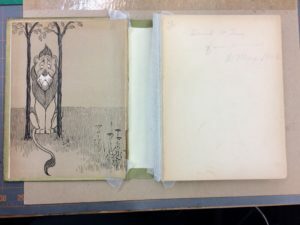 What is the difference between book restoration vs conservation? Restoration, encompasses virtually the entire range of book work—mending, repairing, rebinding, and reconstruction. The difference is mainly in the approach ideology and the amount of paperwork. Conservators document every aspect of the process whereas Restorationist don’t necessarily do this. The conscious, deliberate and planned supervision, care and preservation of the total resources of a library, archives, or similar institution, from the injurious effect of age, use (or misuse), as well as external or internal influences of all types, but especially light, heat, humidity and atmospheric influences. 2. A field of knowledge concerned with the coordination and planning for the practical application of the techniques of binding, restoration, paper chemistry, and other material technology, as well as other knowledge pertinent to the preservation of archival resources. Conservation differs from Restoration in that it aims to preserve and clarify what survives,rather than replace what is missing to make it whole again.It is History vs. The Present, yet both have an eye to the Future. Book repair is not restoration and it is not conservation. Repair is an “improvement” made to a book that is focused on the functionality of the book. It is a visible change that is typically unsubtle and un-matching . Yet it may be the only viable alternative for a relatively unimportant book. 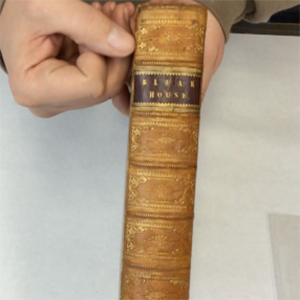 And if done well , it can look very nice, clean and neat, but it could never be mistaken for an original binding. Sometimes this is all that is needed. It is always cheaper.